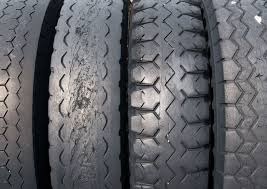 We have all seen the evidence of tire blowouts: pieces of tires that have accumulated on roadways and shoulders, evidence of a recent tire blowout, where the sides of the tire have separated from the treads. Tire blowouts and flat tires are a leading cause not only of motor vehicle collisions, but also of injuries to the passengers in those cars. It’s important to note what your responsibility as a driver is regarding the maintenance of your tires and also when there is evidence that either your tire had a defect or a negligent mistake was made in installing or maintaining your tires. You are supposed to drive responsibly. Driving at excessive speeds, driving quickly or even erratically on unpaved roads or under adverse weather conditions can do damage to even the best tires. Drive with good judgment. If you swerved to avoid hitting something and then your tire blew out, you usually will not be in trouble. However, if you drive completely erratically during a tire blowout or were found to be distracted while driving, thus lessening your ability to function, you may be held liable for the damage. Keep your tires well-maintained. If your tires blow out, but they were very old and the treads were visibly worn, you cannot claim that you didn’t know. A judge or jury (and your insurance) expect that you as a car owner know about the condition of your car and only operate it when it is safe. Check your car for safety. You don’t need to be a car mechanic. But you are required to notice things that are wrong with your car, like worn tires, broken lights, etc. Oftentimes, we approach our car from the same direction and get into the driver’s seat. If we truly want to be responsible car owners, once a day approach your car, but before getting in, walk completely around it. Look over the car for damages or problems or even leaking fluid underneath. Improperly manufactured tires. Tires are regularly recalled. Your attorney can determine if other claims have been filed regarding your type of tire or if there is evidence that the tire itself was deficient. Deteriorated tires. 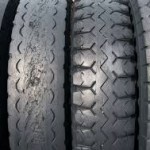 Sometimes tires sit on the showroom floor or are stored improperly at a retail center. These conditions can contribute to poor tire functioning. Improperly installed tires. Tires that are not the right size for your vehicle or that have not been safely installed can cause a tire blowout later. Your attorney will need to examine the evidence of the tire blowout: the condition of the tire, any photos from the accident scene, as well as a description of the events. In addition, your attorney will need to know where and when the tires were purchased and any details regarding their installation. It is important to have the advice of an attorney who is well-versed in auto accidents and auto injuries. If you have any questions about tire blowouts or any other auto accident-related law, please contact us at Turner and Turner.